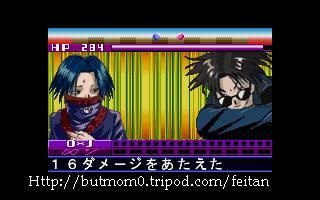 Jan. 27, 2005: I've added 6 Feitan-sama fan art! Oh yes I'm just cleaning up a few things and fix something... I had to delete 6 picture in G.R.... I'll have to look at more pictures to delete so I can add New picture of feitan-sama in the manga when he uses his ULTIMATE attack info about that SOON! Hello and welcome to the eensy weensy spider, a fan site for FEITAN the adorablist spider!!! What spider (HXH) Would have the HOTTS for YOU? What Kind of FEITAN-Sama Fan are you?